Great for a romantic night in with the one you love. 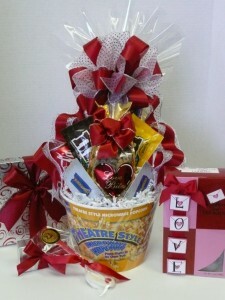 Includes all you need for a perfect movie night in together….popcorn, candies & soda. This entry was posted in Special Occasions & Holidays, Valentine's Day and tagged movie, snacks by admin. Bookmark the permalink.